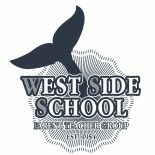 This event is held on a Sunday and all Dads (or if dad cannot attend any other male figure in your childʼs life, or mom) come to West Side with their child and enjoy a few hours of games, Bingo, and a nice dinner. Spend some quality time with your child in their second home. This is a PTG sponsored event.